Steelseries is certainly no stranger to any gamer. A Danish manufacturer of a wide variety of peripherals and accessories, they have traditionally partnered with a number of big names in the industry, such as Blizzard, Valve, Ubisoft, EA and NCsoft, alongside input from, and sponsorship of, a number of professional gaming teams such as Evil Geniuses and Fnatic. 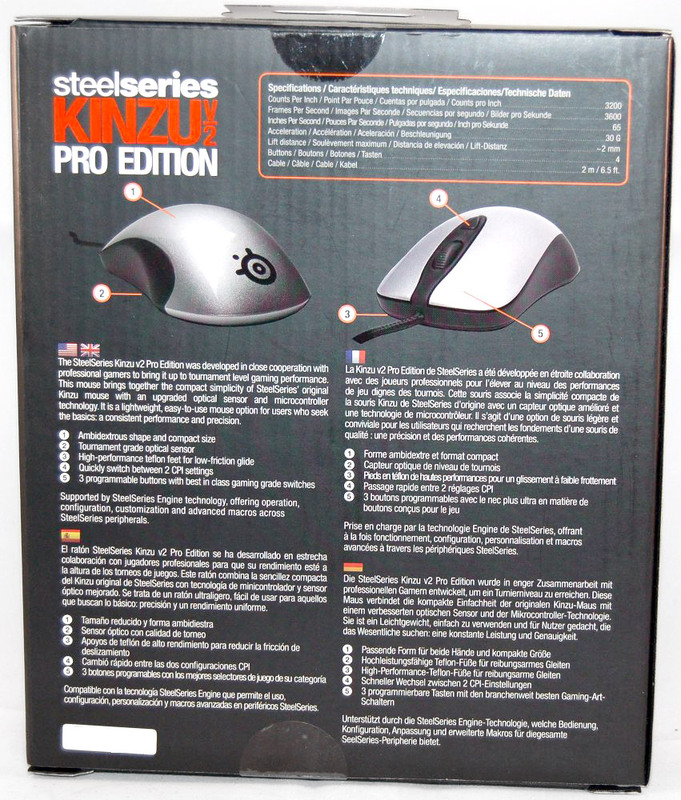 Steelseries produce around two dozen mice in their current range, catering to many specific games and styles of gaming. Bucking the trend of some of the recently reviewed gaming mice such as the WoW MMO Gaming Mouse, the Steelseries Kinzu v2 opts to go the other way, stripping back the multi-button complexity and providing a mid-range offering with an elegantly simple design. 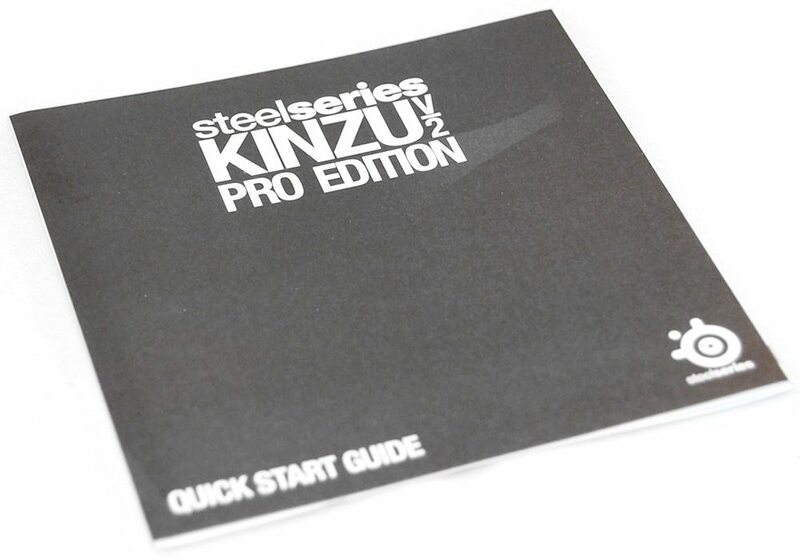 How does the Steelseries Kinzu hold up against their other offerings? Read on to find out. 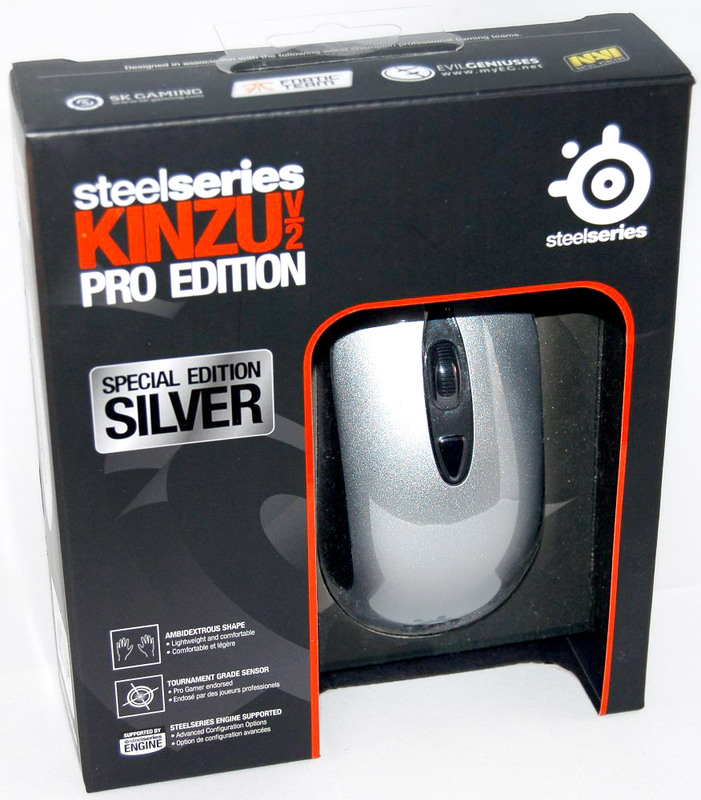 Matching the simple approach to the mouse itself, the packaging for the Steelseries Kinzu is a simple affair, with a cut-out displaying the mouse from the front of the packaging. On the rear of the box, there are some technical specifications alongside a feature list in the four main Western European languages (English, Spanish, French and German). Inside the box the spartan approach continues, with just the mouse within, alongside a Steelseries sticker and the standard quick start guide. 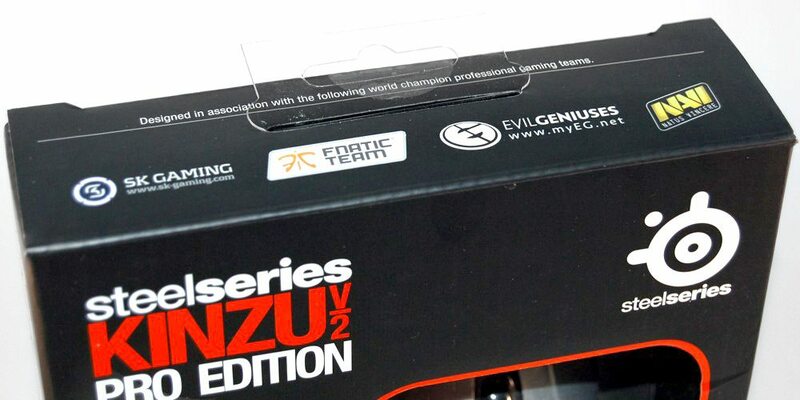 Along the top of the box are the main logos of the sponsored / collaborated gaming teams.